Tace S. Rico, MD is a board-certified dermatologist and one of a few physicians who has completed an advanced research fellowship on contact dermatitis with a focus on pediatric patch testing and completed a dermatology residency at the University of Miami. Dr. Rico has received multiple honors and awards throughout her professional career and has been published in prestigious dermatologic medical journals. As an active volunteer in medical outreach, she has traveled to different countries including Tanzania, Dominican Republic and Haiti, and was awarded the Jaime Battan Award for Compassionate Patient Care from the University of Miami. With her vast experience, Dr. Rico understands the frustrations that come as a result of having dermatology issues and cares deeply about the holistic health of her patients and is committed to providing her patients with the most advanced and compassionate care available. Dr. Rico earned her medical degree with a research distinction at Miller School of Medicine in Miami, Florida. She completed her internship and residency at University of Miami-Jackson Memorial and serves on the voluntary faculty of the University of Central Florida and the University of Miami. 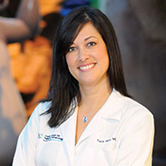 She specializes in the treatment of a wide range of medical issues within pediatric dermatology.